Every business wants to differentiate itself from competitors. And that’s where a video can be very effective because it can bring what’s unique about your business to life. Many businesses have special products, excellent customer service, or great rates compared to their competitors. A video can easily demonstrate all of this. Unlike text, video shows and tells what your company does best. This allows potential customers to better understand and see why they should do business with you. 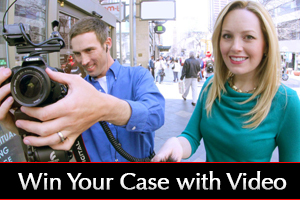 A professional video production company can help you do this. Using their experience and expertise they will show you what looks good in a video and produce it so it’s compelling for a viewer to watch. At the same time, these professionals also know how to capture the moments that make your business special. So, if you want your business to stand-out from competitors, try using the power of video. Here’s an example of how a roofing company separated itself from the dozens of other roofing companies in the Denver-metro area.